Tonight, August 9 at 6, Live at Parkside at 6th and Sherman in downtown Coeur d'Alene presents Redeye Empire hailing from Vancouver B.C. This is the best live party in the Northwest for Reggae, Ska, Dub and just plain rock. So come party! Just $5 cover charge. Food and beverages are offered for sale. Sponsored by Daft Badger Brewing. 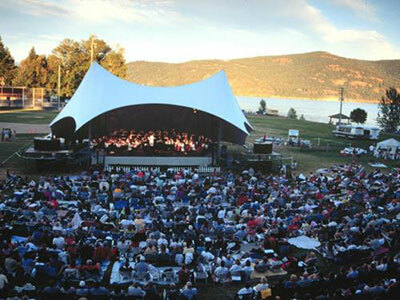 The Spokane Symphony presents Soiree on the Edge, a two-concert series at the Cliff House Estate at Arbor Crest. The first concert is tonight, August 9 starting at 7pm. This special outdoor concert on the beautiful grounds at Arbor Crest, will feature the Spokane Symphony and Conductor Morihiko Nakahara, playing works by Mozart, Akira Nishimura, Caroline Shaw and Beethoven. The next concert of this series will be Wednesday, August 23 at 7pm. For tickets and information, visit www.spokanesymphony.org. It's a big final weekend for the Festival at Sandpoint. 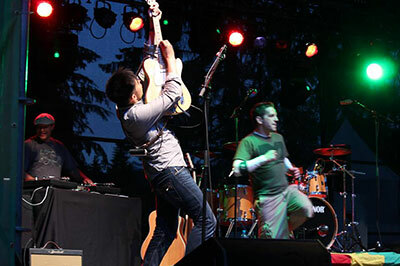 It's Iration and the Wailers Friday, August 11, The White Buffalo, George Thorogood and the Destroyers Saturday, August 12 and the Spokane Symphony Orchestra for the finale concert Sunday, August 13. Go to festivalatsandpoint.com for more information and tickets. This Saturday, August 12, lots will be happening at this year's Garland Street Fair, including live music, artists, great food, car show and more. With over 125 vendors, there will be something for everyone in the family. Hours are 10am-7pm, admission is free. For more information, visit garlandstreetfair.com. Coeur d'Alene's Art Spirit Gallery, downtown at 415 Sherman, presents a unique, vibrant show with Dan McCaw and sons though September 2. There's an artist reception this Friday, August 11 from 5-8pm. 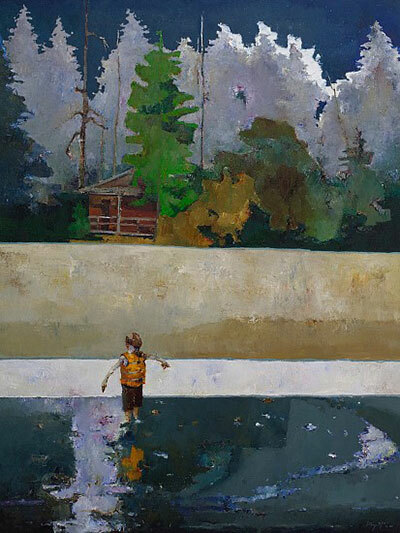 Once a Montana boy, Los Angeles artist Dan McCaw celebrates family and a forty-year career as a professional artist. With his new show at The Art Spirit Gallery in Coeur d'Alene, Dan has teamed up with his two artist sons to create an original show during the month of August. Lauded by Southwest Art as one of America's most respected contemporary impressionists, Dan has traversed a multidimensional journey as a professional artist, one that began in his boyhood town of Butte, Montana. 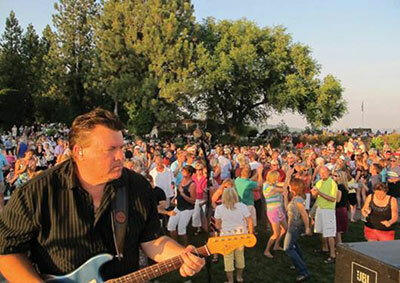 Randy Hansen takes the stage from 6 to 9:30 pm this Friday, August 11 at RL by Red Lion Spokane at the Park. Doors open at 5pm and Happy Hour is from 5-6pm. Guests can purchase from a locally inspired menu and also order from the trail side bar offering a selection of food and beverage items. 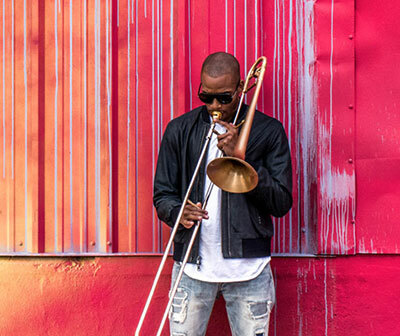 Don't miss Trombone Shorty, this Sunday, August 13 at the Martin Woldson Theater at the Fox. This amazing New Orleans jazz performer will feature music from his newest album, Parking Lot Symphony, which captures the spirit and essence of the Big Easy, and will include selections of 70s funk, rock, hip-hop and R&B. Opening for Trombone Shorty is Ron Greene and his band Gre3ne. Concert begins at 7:30pm. One of the most successful groups of the 70's, Earth, Wind & Fire will be making a exclusive stop in the Lilac City at the INB Performing Arts Center on Saturday, September 23. 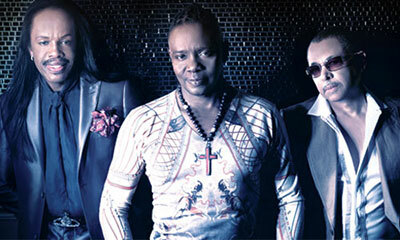 Earth, Wind & Fire, America's seventh top-selling musical group of all time was born in Chicago in 1969. Their signature sound and legendary groove have set the standard for music of all genres. The live music continues at Arbor Crest, and Sammy Eubanks will be performing as part of their Concerts on the Cliff, this Sunday, August 13 from 5:30-sunset. Admission is $10. Also at Arbor Crest this week, Randall & Mills performs on Thursday, August 10 from 5:30-7:30, $5 admission.